Bayan-Olgii is home to 5 national park and strictly protected areas, featuring some of the most beautiful landscapes (including the 2 highest mountains in the country), richest wildlifes, and numerous archeological sites in all of Mongolia. 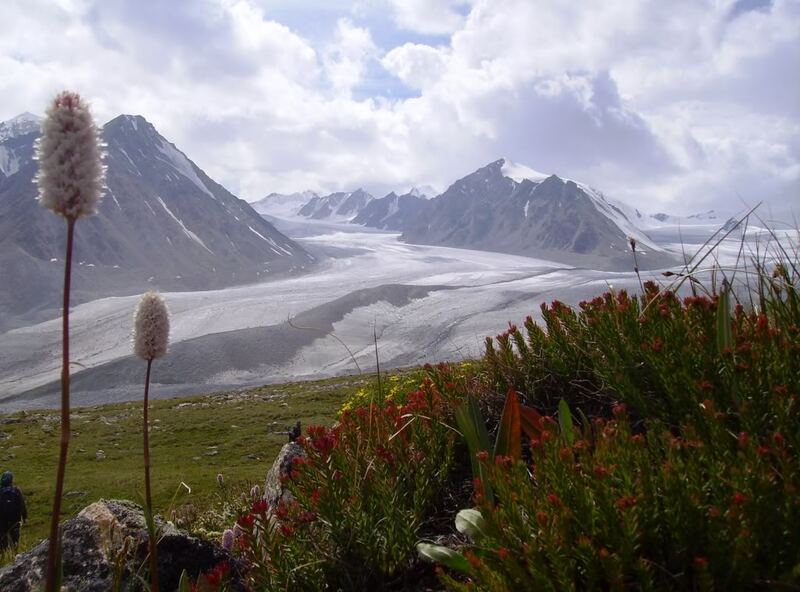 These include the popular Altai Tavan Bogd National Park, with the towering Tavan Bogd Mountains and a UNESCO World Heritage Site, and Tsambagarav Uul National Park, with the 2nd highest mountain in Mongolia and a diverse offering of wildlife and nomadic herders. There are also several lesser known parks with beautiful scenery, rare animals and birds, ancient treasures, and indigenous tribes residing inside their borders. Each park offers a wide range of unique experiences far away from modern ‘civilization’. So feel free to enjoy any one of our pristine natural areas. • Permits to enter the parks can be bought at the Visitor Information Center on the southeast corner of the Central Square in Olgii inside the Mongolian People’s Party building or at the main entrance to Tavan Bogd National Park south of Tsengel. Park Permits are 3000 MNT per person. • Altai Tavan Bogd National require Border Permits that can be picked up at the Border Patrol office in Olgii. Permits are 3000 MNT per group. Make sure to have one permit for each group if you plan to separate inside the park. Permits are required to be within 100 km of the border. Sillkemiin Nuruu National Park and certain routes to Altai Tavan Bogd National Park (depending on river levels) require going to Tsaagannuur (2 hours north of Olgii) to get a border permit for the Russian border. This is on the way the Sillkemiin. •Fishing Permits are available except from April 15 to June 15 for 3500 MNT. Fishing Permits are available at the Nature Protection Office next to Khaan Bank (XAAH БAHK) just north of the government building. The Visitor Center or Tour Guides can arrange this for you. • To protect the pristine nature, take all trash with you when you leave the park and do not pollute water with soaps or chemicals. • Do not pick any plants inside the park or cut down trees for fire wood. Use only dead wood. • Stay on existing roads and tracks to minimize erosion of the fragile soil. Have you ever considered about including a little bit more than just your articles? I mean, what you say is valuable and everything. But think of if you added some great visuals or videos to give your posts more, “pop”! Your content is excellent but with pics and clips, this site could undeniably be one of the very best in its niche. Terrific blog!